The facilitator of the FreshLo Farms for Kids project in the Montbello neighborhood in Denver, Children’s Farms of America will use this grant to support a farm-school garden specialist to consult on urban agriculture, increasing yield in small spaces, working with children and adults on topics such as growing environments, pest management, nutrition and food preparation. With a mission to prevent abuse, strengthen families and restore childhood, DCAC’s programs fall along a continuum of care that includes prevention, early intervention, crisis response, forensic interviews, mental health treatment and family support services. Funds will be used to help establish DCAC’s Therapeutic Garden Program by supporting a garden specialist and purchasing children’s garden tools and gloves. The organization was awarded a Get Grounded grant in Spring 2017 for their Trauma-informed Yoga and Mindfulness Program for the children and families at the Denver Children’s Advocacy Center. “We are so thrilled to have the Get Grounded Foundation’s support in starting our Children’s Garden. We believe this project will empower our clients to take initiative and teach them that they can grow something beautiful,” Inci Caballero Ellis, Community Connector at the Denver Children’s Advocacy Center. Funds from the Get Grounded Foundation will allow Family Tree to offer Dialectical Behavior Therapy (DBT) groups to families with children between the ages of 10-15 years old. This is a new service model and will allow the organization to increase its impact on high-risk youth in Metro Denver. This is a cooperative effort to coordinate existing human service resources and to identify and develop responses for youth and families in Jefferson County who are struggling to overcome child abuse and neglect and domestic violence. 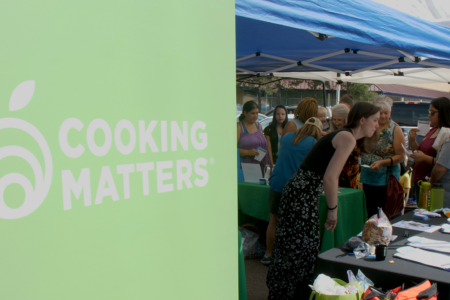 The organization now serves the entire seven-county Denver metro area. For the past 50 years, Havern has offered a unique learning environment for K-8th grade students with diagnosed learning disabilities. With families in nine Colorado counties and 47 zip codes, the school serves students with significant learning disabilities including dyslexia, dyscalculia, dysgraphia, language-based disabilities, auditory and visual processing issues, sensory processing disorder, ADHD and working memory disorders. The school intends to use the Foundation grant to support its new visual arts classroom. Illuminate is a statewide network of four established organizations – Colorado Alliance for Drug Endangered Children, Prevent Child Abuse Colorado, Colorado Chapter of the National Organization on Fetal Alcohol Spectrum Disorder, and Sexual Abuse Forever Ending – that build brighter childhoods through education, advocacy, and family support. Funds from the Foundation will be used to establish a Circle of Parents in Recovery Group in Denver, a specialized parent support group program for parents struggling to sustain substance use disorder recovery. Circle of Parents in Recovery focuses specifically on strengthening the family unit during this crucial, high-risk period. “As the impact on children of caregiver substance use increases across the Denver Metro area and the state of Colorado, it is critical to support families as they seek to heal and recover together. 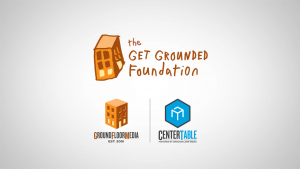 The support from the Get Grounded Foundation will be critical in providing professional facilitation through our Circle of Parents in Recovery program for families impacted by substance use in the Denver Metro Area. In addition, we’re thrilled at the opportunity to get our parent advisory council off the ground to ensure parents are effectively and meaningfully engaged in building a brighter future for their family,” Jade Woodard, executive director, Illuminate Colorado. PlatteForum supports contemporary artists and under-served youth in Denver through innovative, long-term arts programs that allow the youth to work side-by-side with artists-in-residence. 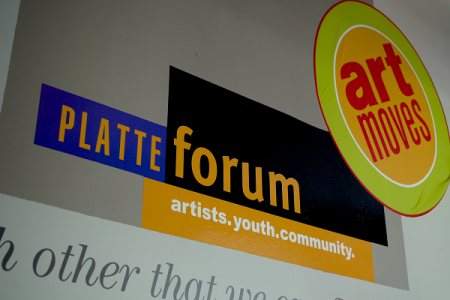 Foundation funds will help support a new collaboration between PlatteForum’s ArtLab and Apprentice of Peace Youth Organization. PlatteForum was also a Fall 2015 and 2016 Get Grounded Foundation grant recipient. Each grant cycle, a volunteer committee made up of individuals from the sister agencies review the grant applications. Typically, the Foundation offers two grant cycles each year – Spring and Fall. The deadline for applications for the fall 2018 grant cycle is Friday, October 12, 2018. Download the full Get Grounded Foundation Awards Grants to Six Programs Serving Denver’s At-Risk Youth announcement.